← New Sign Up Link! I’ve been working on a new platform for my business which will allow me to better manage my posts and emails and, keep *you* up-to-date on any special news. As a thank you for being so kind and patient with me as I grieve the loss of my husband and try to rebuild my life, I have created a special offer. 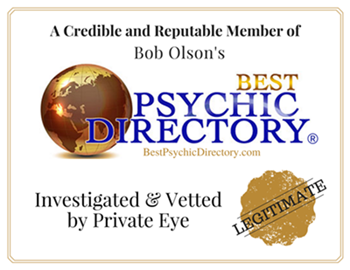 From now through September 30, 2018, everyone who is on my new mailing list will be eligible for a chance to win a free 20-minute mediumship reading. I will randomly choose the winner from that list on October 1, 2018. Please know, if you have friends or family who are curious or could use some help connecting with their loved ones on the Other Side, you can pass this offer on to them as well. All you (and they) have to do is sign up for my newsletter using the “Sign Up For My Newsletter” link on the right side of this page to be entered into the drawing. This entry was posted in spirituality and tagged gratitude, grief, healing, love, mediumship, messages from the other side, readings. Bookmark the permalink.